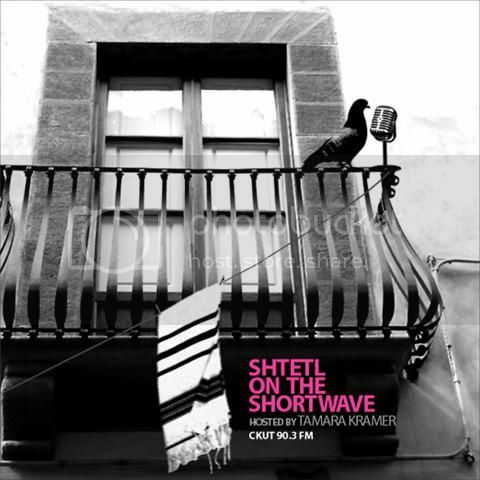 Today/Friday (Dec.4th) Shtetl on the Shortwave brings you Jews makin’ music. To start we have DJ and producer Erez Safar a.k.a Diwon, about The 5th Annual Sephardic Music Festival happening in New York this month. Tune in to win free tickets to check out Diwon and Electro Morocco at Joe’s Pub in Manhattan on Dec 17th. Then, we’ll hear from very spiritual, very gender-bending, hip hop electro pop diva Merril Nisker, aka Peaches. That’s right. Peaches has recorded with and influenced folks from Iggy Pop to Madonna. She’s a Yid from Toronto and she’s really not afraid to do or say anything. i.e. : If profanity is not your thing….Peaches is on tour with her new album I Feel Cream and Shtetl caught up with her before her show at Metropolis. Last but not least, we’ll hear music from Montreal’s all-girl Yiddish band Di Heyse Yiddenes who are playing December 5th at Parc des Princes in Montreal. As well, as music from Pharoah’s Daughter, Electro Morocco, Yair Dalal, and Smadar, who are all performing at SMF this year! There’s something for all tastes in the Shtetl this week.